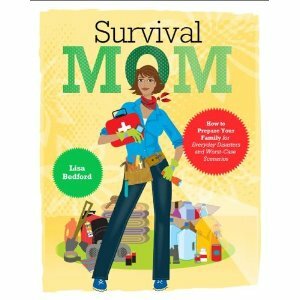 Survival Mom - New Book by Lisa Bedford | Prepper Gear- Survival Supplies and Know-How! Deep inside every mom is a Survival Mom whose passion for her family drives her to make the best of the present and prepare for the future. So tap into your Mama Grizzly instincts and channel your worries into action. Whether you’re a full-fledged “prepper” or just getting started, with real-life stories and customizable forms and checklists along with Lisa’s “you can do it” attitude, Survival Mom replaces paranoia and panic with the peace of knowing YOU have the power to keep your loved ones safe and secure.